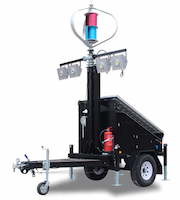 Solar Trailer | Solar Light Tower. Used Through Out The United States and World wide by FEMA Federal Emergency Management Agency, DHS Department of Homeland Security, Disaster Recovery Efforts, Red Cross Disaster Relief, European Union, EU Refugees Camps, NATO North Atlantic Treaty Organization, Disaster Preparedness & Recovery. Portable Hybrid Solar Light Tower, Solar Light Tower. Used Through Out The United States and World wide by FEMA Federal Emergency Management Agency, DHS Department of Homeland Security, Disaster Recovery Efforts, Red Cross Disaster Relief, European Union, EU Refugees Camps, NATO North Atlantic Treaty Organization, Disaster Preparedness & Recovery. Job Site Solar Light Tower, Solar Light Tower. Used Through Out The United States and World wide by FEMA Federal Emergency Management Agency, DHS Department of Homeland Security, Disaster Recovery Efforts, Red Cross Disaster Relief, European Union, EU Refugees Camps, NATO North Atlantic Treaty Organization, Disaster Preparedness & Recovery. Portable Solar Light Towers for Oil and Gas Industry, Solar Light Tower. Used Through Out The United States and World wide by FEMA Federal Emergency Management Agency, DHS Department of Homeland Security, Disaster Recovery Efforts, Red Cross Disaster Relief, European Union, EU Refugees Camps, NATO North Atlantic Treaty Organization, Disaster Preparedness & Recovery. Mobile Solar Lighting Towers for Mine Sites, Solar Light Tower. Used Through Out The United States and World wide by FEMA Federal Emergency Management Agency, DHS Department of Homeland Security, Disaster Recovery Efforts, Red Cross Disaster Relief, European Union, EU Refugees Camps, NATO North Atlantic Treaty Organization, Disaster Preparedness & Recovery. Solar powered Construction light tower, Job Site Solar Light Tower, Solar Light Tower. Used Through Out The United States and World wide by FEMA Federal Emergency Management Agency, DHS Department of Homeland Security, Disaster Recovery Efforts, Red Cross Disaster Relief, European Union, EU Refugees Camps, NATO North Atlantic Treaty Organization, Disaster Preparedness & Recovery. 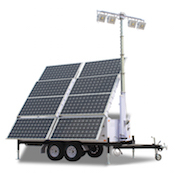 Portable Solar Light Tower, Solar Powered Light Towers, Solar Light Tower. Used Through Out The United States and World wide by FEMA Federal Emergency Management Agency, DHS Department of Homeland Security, Disaster Recovery Efforts, Red Cross Disaster Relief, European Union, EU Refugees Camps, NATO North Atlantic Treaty Organization, Disaster Preparedness & Recovery. Solar Powered Light Towers, Solar Light Tower. Used Through Out The United States and World wide by FEMA Federal Emergency Management Agency, DHS Department of Homeland Security, Disaster Recovery Efforts, Red Cross Disaster Relief, European Union, EU Refugees Camps, NATO North Atlantic Treaty Organization, Disaster Preparedness & Recovery. 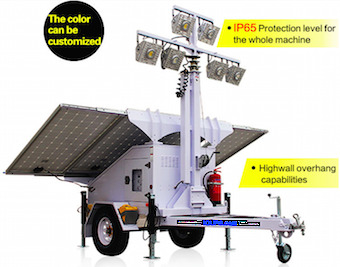 Solar LED Light Tower, Solar Powered Light Towers, Solar Light Tower. Used Through Out The United States and World wide by FEMA Federal Emergency Management Agency, DHS Department of Homeland Security, Disaster Recovery Efforts, Red Cross Disaster Relief, European Union, EU Refugees Camps, NATO North Atlantic Treaty Organization, Disaster Preparedness & Recovery. 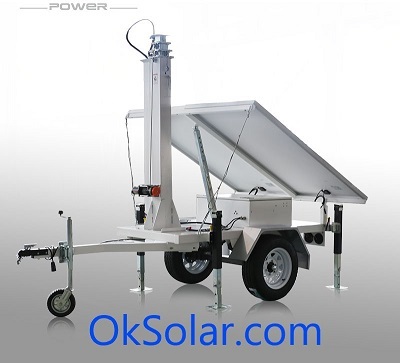 Mobile Solar Light Tower, Solar Powered Light Towers, Solar Light Tower. Used Through Out The United States and World wide by FEMA Federal Emergency Management Agency, DHS Department of Homeland Security, Disaster Recovery Efforts, Red Cross Disaster Relief, European Union, EU Refugees Camps, NATO North Atlantic Treaty Organization, Disaster Preparedness & Recovery. Solar Light tower for Oil and Gas industry, Solar Light Tower. Used Through Out The United States and World wide by FEMA Federal Emergency Management Agency, DHS Department of Homeland Security, Disaster Recovery Efforts, Red Cross Disaster Relief, European Union, EU Refugees Camps, NATO North Atlantic Treaty Organization, Disaster Preparedness & Recovery. Light tower for Oil and Gas industry, Solar Light Tower. Used Through Out The United States and World wide by FEMA Federal Emergency Management Agency, DHS Department of Homeland Security, Disaster Recovery Efforts, Red Cross Disaster Relief, European Union, EU Refugees Camps, NATO North Atlantic Treaty Organization, Disaster Preparedness & Recovery. Refugee Camps Solar Light Tower. Used Through Out The United States and World wide by FEMA Federal Emergency Management Agency, DHS Department of Homeland Security, Disaster Recovery Efforts, Red Cross Disaster Relief, European Union, EU Refugees Camps, NATO North Atlantic Treaty Organization, Disaster Preparedness & Recovery. Solar Light Tower with Wind Turbine for Refugee Camps, Solar Light Tower with Wind Turbine. Used Through Out The United States and World wide by FEMA Federal Emergency Management Agency, DHS Department of Homeland Security, Disaster Recovery Efforts, Red Cross Disaster Relief, European Union, EU Refugees Camps, NATO North Atlantic Treaty Organization, Disaster Preparedness & Recovery.